Steven Mukai started playing flute because, in the 6th grade, his once a week band teacher, Norma Parado, figured out he couldn't buzz, so the trumpet was not going to be a part of his reality. He has been playing flute and loving it ever since, playing through high school and with the UH band, marching through mud at Aloha Stadium. After graduation, Steven started working on the mainland and joined community bands in Southern California and in Long Island, New York. Upon returning to Hawaii, he continued to play with the Honolulu Wind Ensemble and Oahu Civic Orchestra. 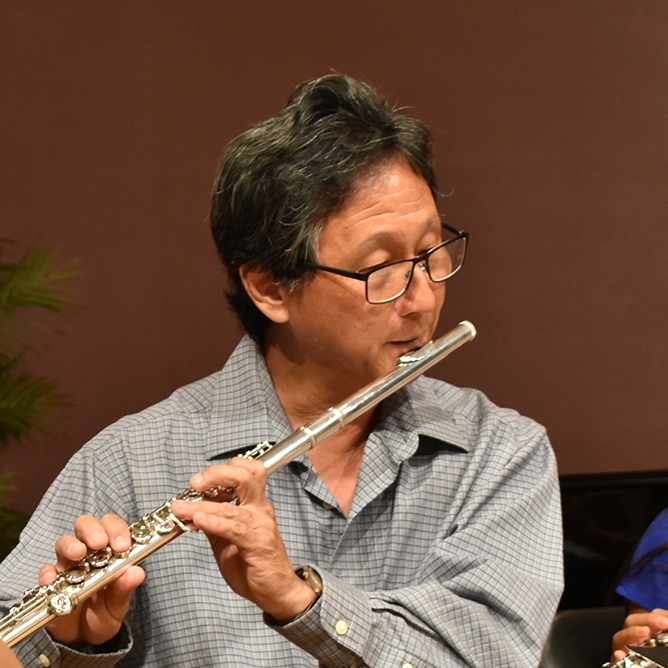 "Hawaii Flute Society is another special avenue to play with a great group of people and fine musicians. I hope I can help to make HFS a place where other flutists can play, hone their craft, and make friends."